Previous rumors has suggested that the back of the new iPhone 8 and iPhone 8 Plus would be made of glass. Now according to a recent report, the whole casing off the iPhone 8 will apparently be made of glass, this is to support wireless charging on Apple’s new iPhone. 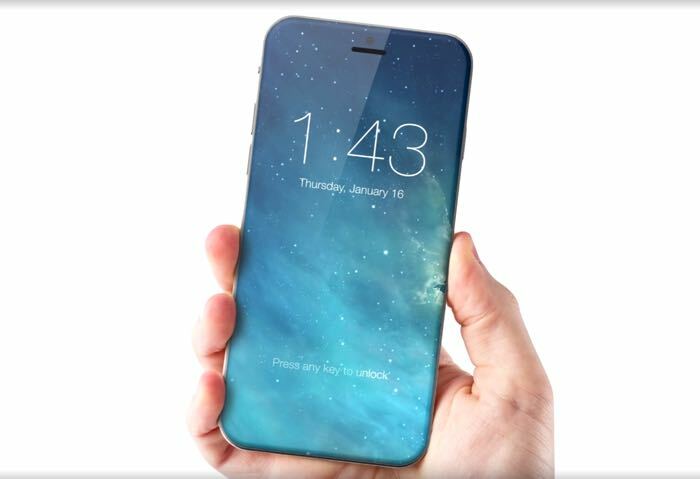 As well as the wireless charging, one model of Apple’s new iPhone 7 is expected to come with an OLED display. There will be two versions of the iPhone 8 Plus, one will have an LCD display the other an OLED display and the iPhone 8 is expected to feature an LCD display. Apple are expected to launch their new iPhones around September of next year, so we can expect a number of rumors about the handsets before then.